From iconic Bondi Beach to the glittering Gold Coast, Australia has some of the best beaches in the world. When the sun’s shining and the surf’s pumping, tourists and locals alike flock to the beaches to bury their toes in the white sandy beach and a dip in the pristine water. Naturally, some of the best restaurants can also be found along the coastlines, serving up incredible food along with million-dollar ocean views to boot. Hands down Doyles on the Beach at Watsons Bay is still one of the best seafood restaurants in Australia. A favourite with celebrities, Doyles on the Beach has been family operated for over five generations and the fish and chips has been a Sydney must-do for just as long. Located right on the foreshore of Watsons Bay overlooking the magnificent Sydney Harbour, indulge in phenomenal, fresh seafood with the beach at your side and the CBD glistening across the harbour. A trip to Bondi isn’t complete without a visit to Sydney’s most iconic beach-side restaurant Icebergs Dining Room & Bar. Since it opened in late 2002, Icebergs Dining Room and Bar has hosted Australia’s biggest stars and international celebrities including Nicole Kidman, Pink and Oprah. Icebergs has all the ingredients for fine dining with the stunning view, uber cool interiors and modern Mediterranean cuisine. The casual Bistro next door is also worth a visit. With more than 200 seats in the club, every spot has panoramic views of Bondi Beach and the historic pool below. Grab a seafood platter for two and some cold beer and you’re pretty much set for the rest of the afternoon. Coogee Pavilion is the perfect spot for cold beer and pizza after completing the Bondi to Coogee Coastal Walk. This family-friendly establishment is absolutely huge and always buzzing – it can get very busy and noisy so make a booking in advance for a spot at the rooftop bar. From freshly shucked oysters to super tasty wood-fired pizza, all come with a stunning Coogee ocean view. Cross the Sydney Harbour Bridge to the Northern Beaches for a treasure trove of hidden culinary seaside gems. 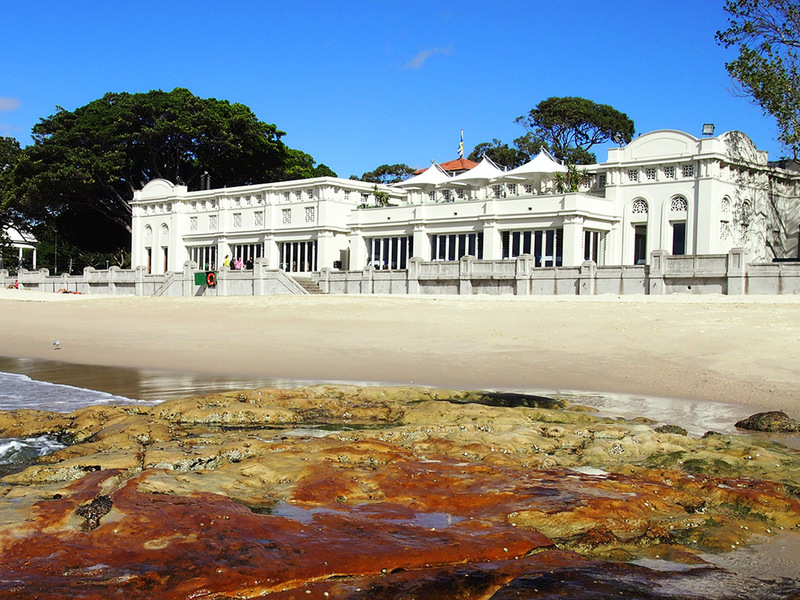 The Bathers’ Pavilion at Balmoral Beach is a long time favourite of mine. 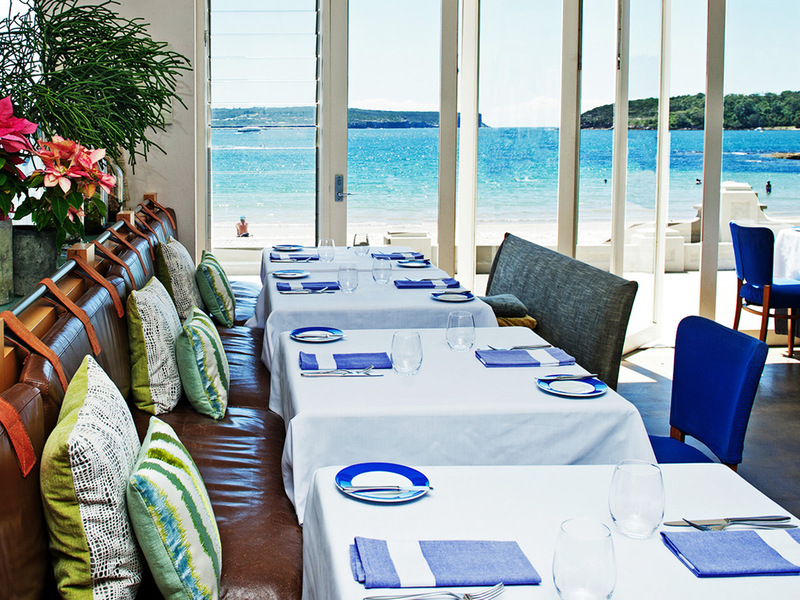 Set in a beautifully restored historic beach pavilion (hence the name), the restaurant is an impressive affair in a warm setting, with impeccable food and service to match the unspoiled views over peaceful and sparkly Balmoral beach. 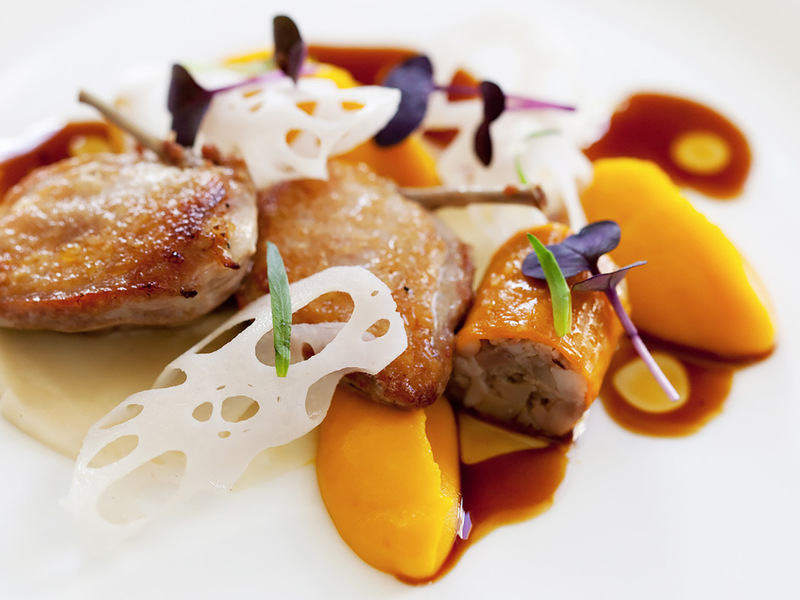 Reigned by internationally acclaimed celebrity chef Serge Dansereau, he has crafted a menu offering French cuisine that highlights European culinary traditions yet are uniquely Australian. It’s a celebration of treasures of the sea with dishes such as seared scallops served with pancetta and pickled apple, smoked yoghurt and chorizo oil. With huge glass windows in both the restaurant and the more casual cafe next door, it’s the perfect spot to unwind and watch the world go by. Another must visit on the Northern Beaches is Jonah’s Whale Beach. Housed within one of Australia’s most luxurious ocean retreats, this fine dining restaurant is the perfect dining venue for romantic dates and special occasions. Don’t be fooled by its location perched high above Whale Beach, it has breathtaking views of Pacific Ocean. Perhaps the only feature that can divert your attention from the stunning view at Jonah’s is the food and wine. Under the direction of Chef Logan Campbell, the menu offers excellent contemporary Australian cuisine with a strong emphasis on seafood and subtle Italian influences. An even more memorable dining experience is the popular package of seaplane scenic flight over Sydney harbour, followed by lunch. You can also spend a night at one of the eleven exclusive ocean retreats with private balconies looking out to the ocean. Some of the most stunning coastlines are in South Australia. 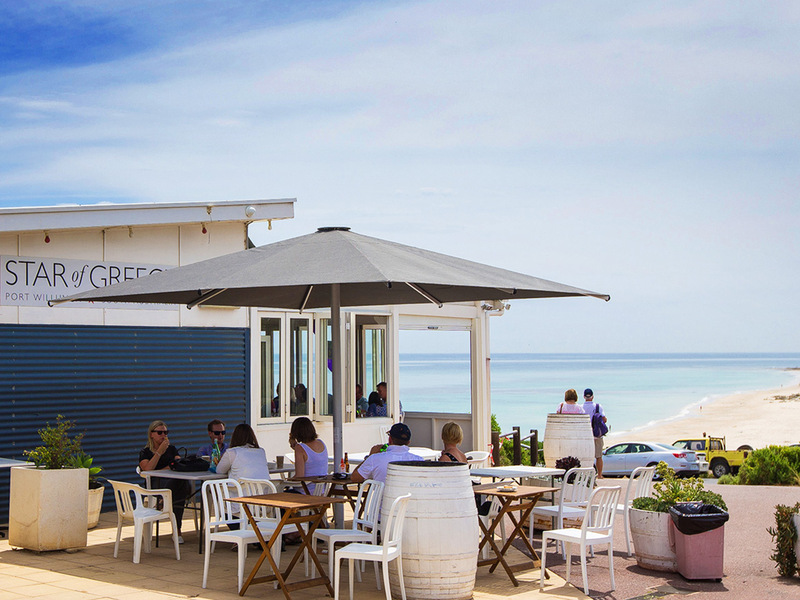 A mere forty minute drive from Adelaide’s CBD, a visit to The Star of Greece at Port Willunga is a truly transforming experience. Named after a shipwreck, The Star of Greece is perched on the cliff top and has panoramic views extending over sandy beaches and a rugged coastline. Despite its humble appearance, this homely restaurant has a lot to offer. Owners Doug and Nikki Govan have extensive experience in hospitality and have created a piece of heaven that effortlessly blends wine, food, tourism and a passion for excellence. The exquisite Mediterranean menu showcases the exceptional quality of local seasonal produce South Australia has to offer. Their Kangaroo Island salt and pepper squid was one of the best I’ve had, the squid was perfectly cooked with a crispy semolina coating. Make sure to stay a little longer for the sunset, it’s absolutely mesmerising. 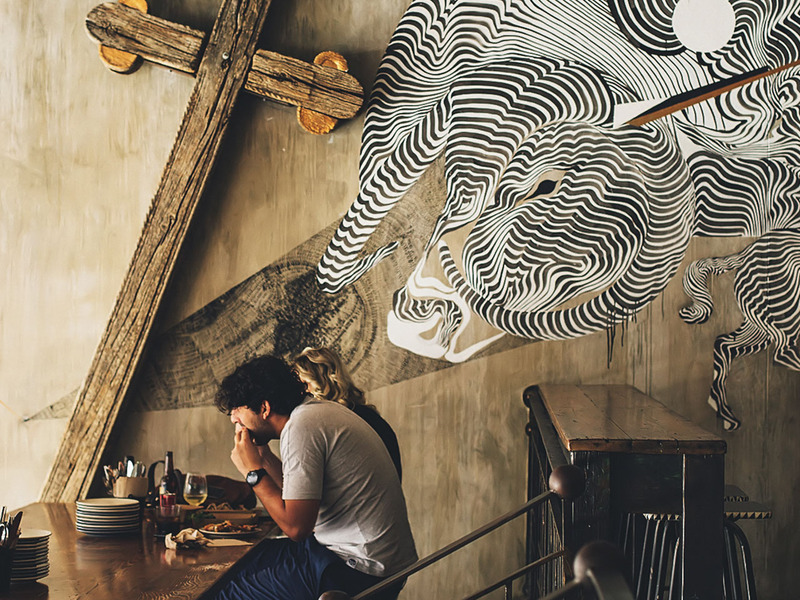 Hop on a plane to the Gold Coast in Queensland and soon you will’ll dining at some of the best restaurants along the golden coastlines. One not to be missed is Seaduction, located within Peppers Soul Surfers Paradise. As one of the Gold Coast’s premier, two-hatted restaurants, Seaduction offers creative Modern Australian cuisine with degustation options for diners wanting to taste as much of the magic as possible. Executive Chef Reuben Radonich draws inspiration from the fusion of the earth and sea for the menu. Think beetroot and sugar cured ocean trout and a twice-cooked Bangalow pork belly served in tamarind and yellow rock sugar. Each dish is perfectly executed, combining classic cooking techniques with modern presentation. The iconic Oskars on Burleigh is arguably still one of the best restaurants in Gold Coast. Opened in 1997, this highly respected restaurant had earned a reputation for excellence in every aspect of food, service and attention to detail ensure the diner’s experience is one of a kind. Its prime location is the icing on the cake. Oskars has a daily changing menu offering the freshest seafood, such as Moreton Bay bugs, Yamba prawns and Hervey Bay scallops. I guarantee you’ll be in seafood heaven. As far as I’m concerned, nothing beats a refreshing swim in the pristine water at Currumbin Beach and then walk straight into the Currumbin Beach Vikings Surf Life Saving Club for a scrumptious feed. While its charm lies mostly in the location, it’s the quality, wallet-friendly bistro-style menu that keeps locals and visitors coming back for more. The burgers are juicy, the seafood basket is abundant and the beer is extra cold. Not to mention the expansive ocean views are complimentary. Life is good. Previous post Can you have an Island Getaway with your kids?